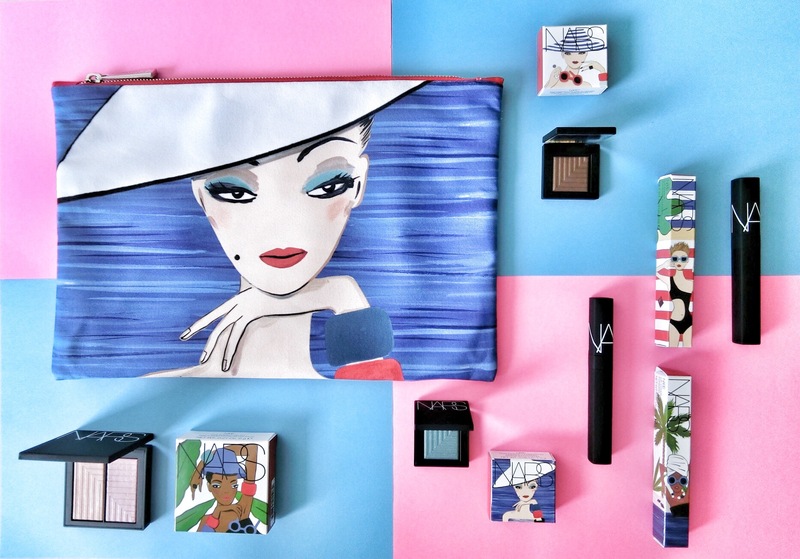 Inspired by the sun-drenched French Riveria, Nars’ new 10-piece colour collection is bright yet wearable. The boxes are illustrated by artist Konstantin Kakanias (although I wish the designs were printed on the compact case instead). The collection features dual-intensity eyeshadows and blushers with a metallic sheen. Use dry for a subtle colour, and with a dampened brush for more intensity. Tan Lines eyeshadow, a rich hazelnut brown. Perfect for soft, everyday smokey eyes looks. Lip Covers liquid lipstick in Overheated, a deep dusty rose; and Members’ Only, a crimson red (this shade is only available at Nars counters and stores). One coat is enough for a rich, opaque colour with a soft shine. Blush in Sexual Content, a peachy raspberry pink bronzer/ highlighter/ blush. Deep-End shadow, a teal green. What do you use for your background, like the place where you have kept the products on? awwwww i reale fancy the makeup bag!! !